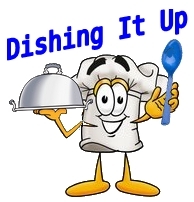 Welcome to the July Dishing It Up Recipe Hop Giveaway! July's theme is "Food to Beat the Heat" featuring recipes with (little or) no heat required. This week I am adding Coke Salad to the list. Gelatin salads are a staple in the south for every occasion. This is one that I remember my Maw-maw making and anything with black cherries in it has me at "Hello."